When 20-year-old Maya Hughes shared her story on Twitter, people were amazed by the touching account of how her life was saved by a perfect stranger when she was just five years old. It all started years ago when Maya’s mother took her to live in her country of birth – Sierra Leone. It was around four months into their stay in Sierra Leone when Maya fell sick and needed to return to the U.S. for treatment. But at the time, her mother Zee Sesay was unable to return with her daughter to Maryland for private family reasons. Sesay rushed her daughter to the airport desperate to find someone traveling to the U.S. According to Sesay, she was faced with a “life and death-type situation,” for her daughter Maya. She was desperate for Maya to return to Maryland to meet relatives who would take her for the badly needed medical attention she needed. She purchased a ticket at the airport and asked the person working at the check in to direct her to someone who was flying to the U.S. The employee resisted at first, telling Sesay that it was against the airline’s policy to provide that information. But Sesay was persistent as she knew what was at stake and managed to talk the staff member into directing her toward a man who was flying to America. She now had to convince the man to take her daughter with him on the flight. As Sesay explained to BuzzFeed News: “I walked over to this gentleman and asked if he could travel with Maya,” she said. “At first he said no, saying he was traveling to the US for a funeral.” But with some persuasion and even a little begging, the man finally agreed to take Maya on the flight with him, and Sesay felt relieved. As Sesay explained: “I stood by and watched the plane take off and not realizing I had handed my kid off to a complete stranger,” she said. “It was adrenaline, I wasn’t in the right state of mind, and I wasn’t thinking properly…and that was the end of it. I never again saw this man.” But the whole ordeal was extremely traumatic for Maya, and her mother never explained why she was unable to accompany her. While Maya also told BuzzFeed that she has only vague memories of that day, she recalled that there was “a lot of chaos and crying nonstop on the plane.” She also recalls that the kind man sang to her in the little Krio he knew to get her to stop crying. 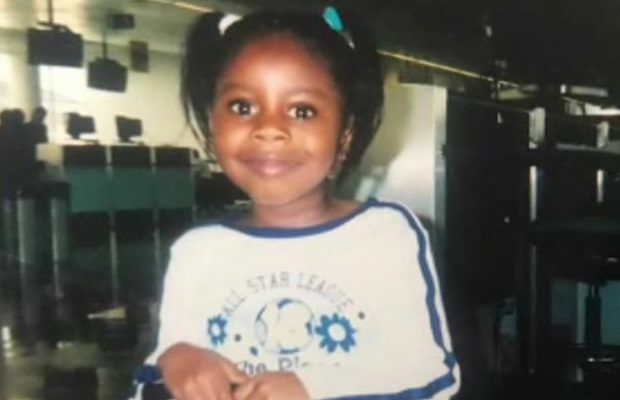 The plane soon landed safely at the Washington Dulles International Airport in Virginia, where her grandmother, Sesay’s mother, was waiting to pick her up. Maya recalls that she and her mother talked about the experience a lot over the years but as neither of them even knew the kind man’s name were unable ever to track him down. “I always gave my mom a hard time because he was a complete stranger and it was risky,” Maya recalled. Sesay explained that around six years ago she had told the story to her cousin who said she had a former colleague who told her a similar story. The trail went quiet for years, but just recently her cousin contacted her and asked whether she had made contact with that man; his name was Tom Perriello. According to Sesay, this was the first time she had ever heard this man’s name and immediately tracked down his email address and made contact with him. When he replied to the email, it turned out he was the man who had flown with Maya all those years ago. Perriello brought Sesay up to speed on some of the details from that day. When reporters also caught up with Perriello, he told them: “It’s an incredibly vivid memory that seems like something out of a movie,” he said. “It just wasn’t clear if it was a happy movie or a sad movie.” He recalled flying to the U.S. on an emergency basis for his grandmother’s funeral and was okay at the time with escorting Maya as her mother seemed so desperate. Perriello explained further that there were a number of connecting flights en-route from Sierra Leone to America. “There was some serious drama on each leg of the trip, as there should have been under the circumstances, but we worked with officials and some angels at the airlines to make sure Maya got home safely to her grandmother’s care,” he said. Perriello said he had spoken about that flight recently with some friends who he met for breakfast. He told them that he was “very moved” by the whole experience and especially the fact that Maya and her mother reached out to him all these years later. Maya also spoke about how thankful she was that people like this man still exist in the world. “He’s a genuinely good person, which is something we don’t have a lot of anymore,” Maya said. “If it wasn’t for him I don’t know how I would’ve made it back. We’ve been trying to find him because we never really got to say thank you.” Both Maya and her mom want to meet Perriello in person and are trying to arrange a meeting with him. Sesay explained: “For 15 years I was looking for this ghost,” she said. “I hope to meet with him to get the opportunity to shake his hand, hug him, and thank him for having done that.” But as they live very far apart, arranging a meeting between the three is not so simple and still hasn’t happened. The only reason Perriello had been in Sierra Leone at all was that he was part of the U.N. war crimes tribunal team that had just indicted Liberian dictator Charles Taylor. At that time, Perriello was working as an adviser to the prosecutor of the Special Court of Sierra Leone. It was just by chance that Maya and her mother found him at the airport on that day. While the memories of that day and the flight are cloudy for Maya, she still remembers feeling scared but safe with her new travel partner who she’d never even met before. “I don’t remember much,” Maya recalls. “I remember being scared at the airport. And I definitely remember Tom and Tom’s singing. And I remember he never lost patience with me,” she added. While Perriello recalls that he was devastated to have missed his own grandmother’s funeral as a result of helping Maya, he said he has no regrets and would do the same thing again without hesitation. “I know my grandmother was smiling down as I got to see young Maya run into the arms of hers,” he said.